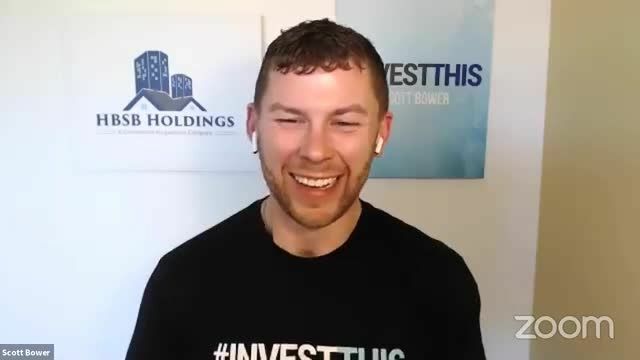 Scott C: We’ve got another Scott on the show, a buddy of mine, Scott Bower, who is the host of the InvestThis podcast and also the owner of Southwest Property Buyers who does a tremendous job. This cat is closing over $20 million in transactions and does an amazing job not only as an investor of investors but also as a show host for his podcast. I was honored to be a guest on InvestThis and getting a lot of great feedback from that. I’m honored to return the favor and have Scott on the Note Closers Show podcast. What’s going on? Scott B: I appreciate you having me on here. 2019 is starting off strong. I’m excited to get things going. Scott C: Why don’t you share with people a little bit of your journey, how you got into real estate and your journey to where you’re at now? Scott B:I started back in 2000. I moved to Arizona at the beginning of 2012. I’ve been here for several years. I moved here right after college. I moved out to Arizona. I’m originally from Iowa. I went to the University of Iowa. I got three degrees in four-and-a-half years. Scott C: What are the three degrees in? Scott B: Business Communications, Entrepreneurial Management and Health Promotion with an emphasis in Nutrition, a little bit different. Three different colleges but ended up being that way. I was an entrepreneur from a young age. I started a car detailing company back when I was a junior in high school. Entrepreneurship has always been my thing. While I was in college, I met my first mentor who happened to be the president of a large logistics company based out of Iowa called Jacobson Logistics. When I was in college, I interned with them every year. When I graduated he said, “Where do you want to go to the country? We’ll make a job anywhere you want to go.” I narrowed it down to three different options: Atlanta, Georgia, Phoenix, Arizona or Harrisburg, Pennsylvania. Naturally, Phoenix, Arizona was the winner of the three and I ended up here. I was doing that for about a year or so. I worked for that company before I got tired of working for the man, working for somebody else. I got my real estate license. I started there with a realtor for a little bit and gradually progressed. Scott C: You talk about how you became a realtor. It wasn’t your cup of tea then I take it. Phoenix, Arizona when you moved there over the last several years, that area has gone through a tremendous amount of change in the real estate side. I can remember buying $300,000 properties I was picking up for $30,000 back in the day. Scott B: Phoenix is one of those areas that are boom or bust. When I moved here in 2012, which was the beginning of when things started to uptick, I didn’t have the pleasure of being here and knowing what I know now. Back in ‘08 to ‘11, we could buy these things that literally cents on the dollar. I have been able to see the increase in value. Phoenix has changed tremendously since I’ve been here. It’s been cool to see it. It’s been cool to be part of it. We’re trying to see where is it going to go? Everything has happened in the past is done and over with. You no longer can control that. We only try to control what’s in the future. Trying to nail down where we’re at and making sure we’re making safe investments now that aren’t going to put us in a hole if something wants to correct in the market.